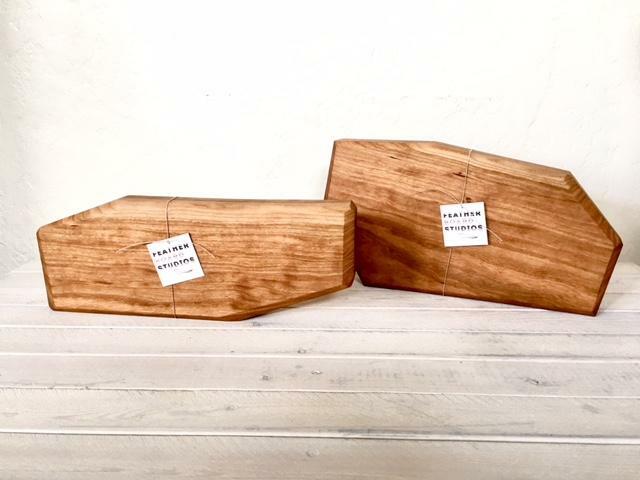 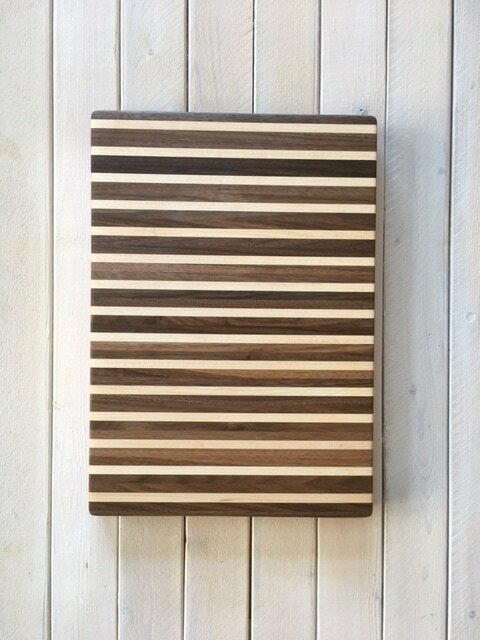 HANDCRAFTED FROM LOCALLY SOURCED RECYCLED WOOD IN THE SAN FRANCISCO BAY AREA. 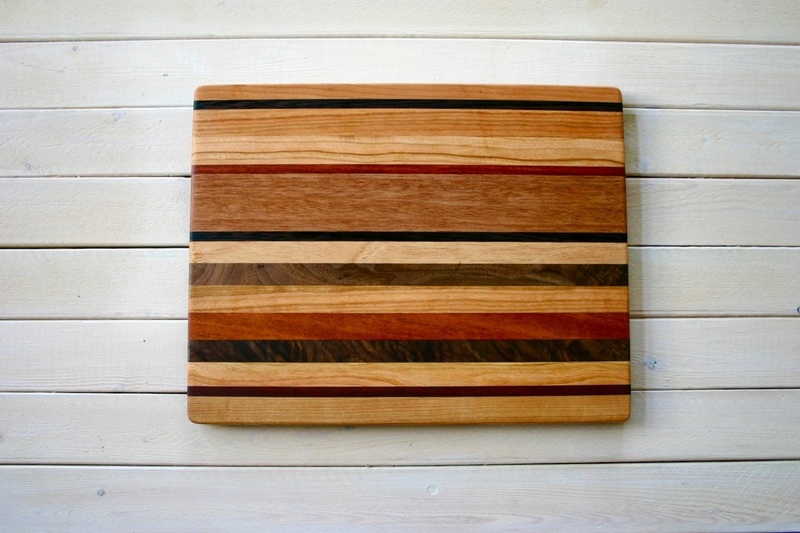 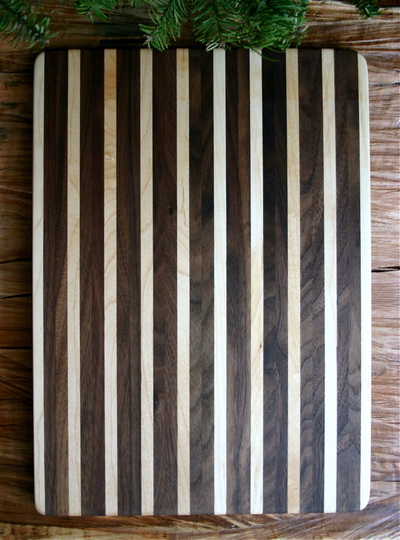 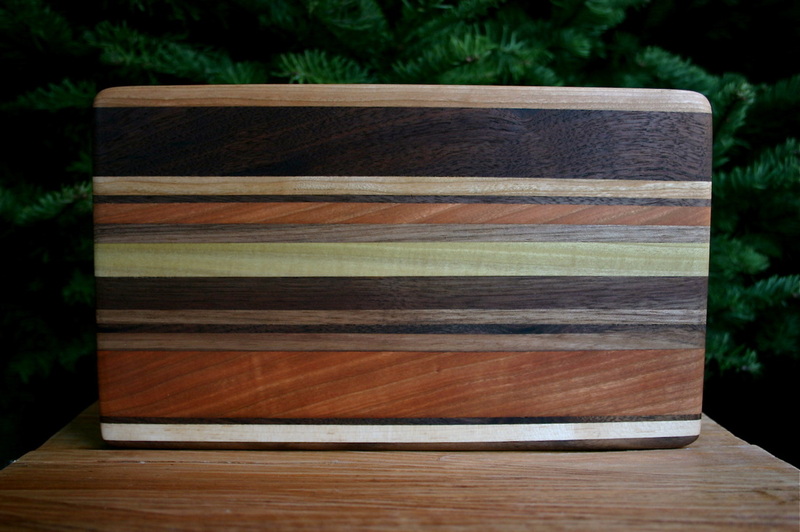 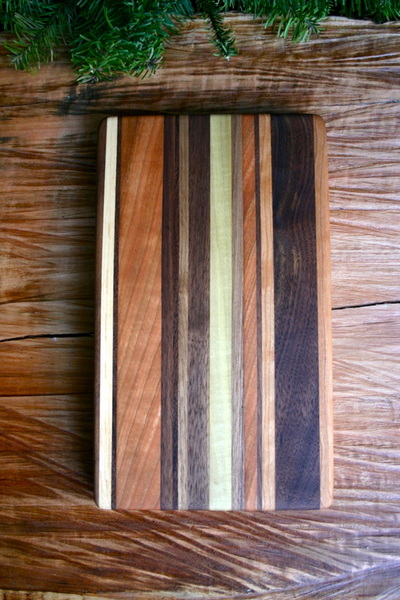 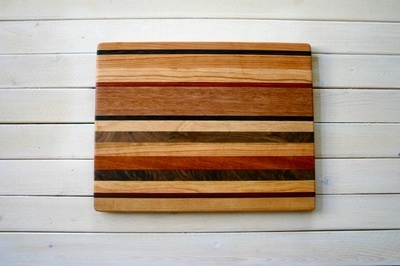 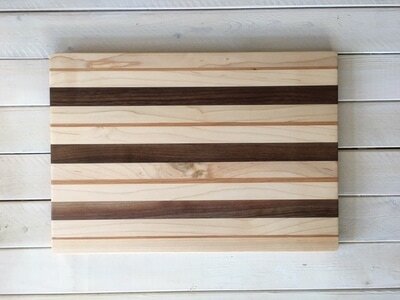 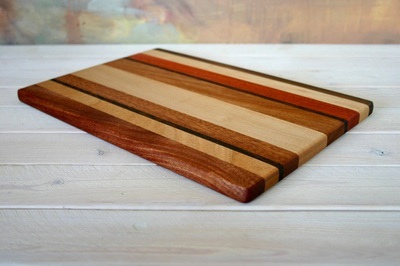 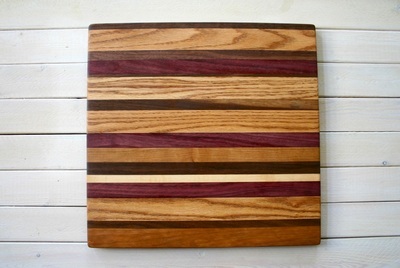 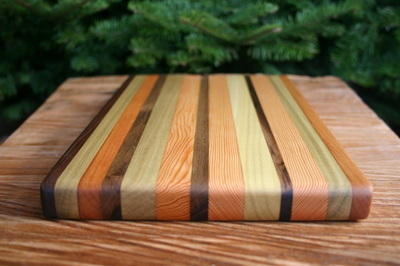 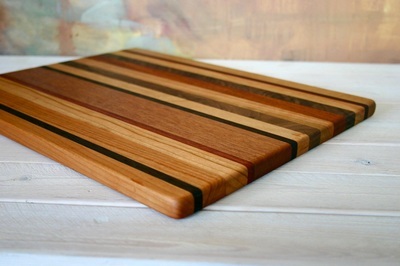 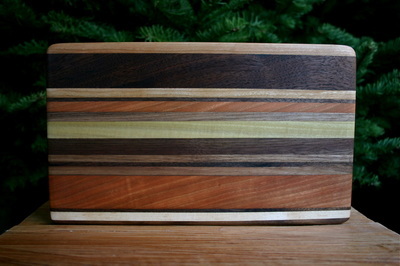 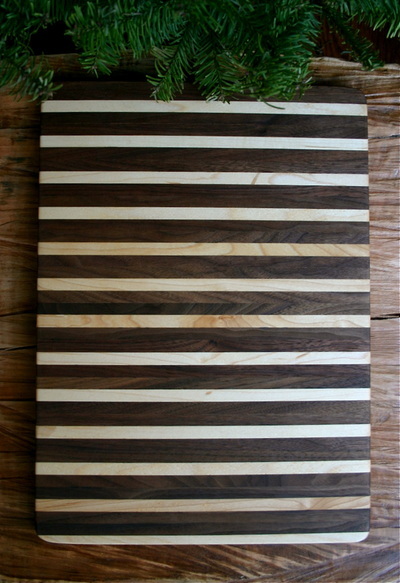 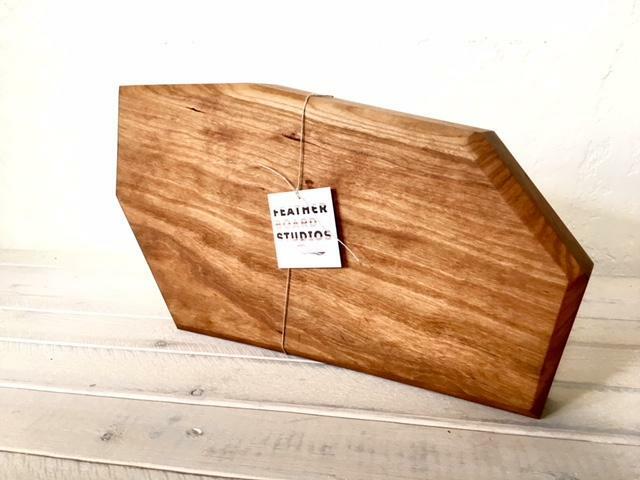 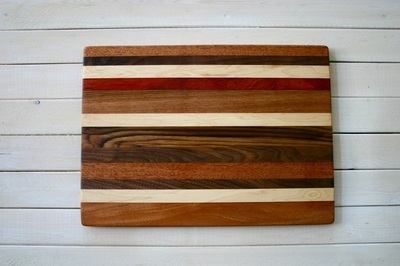 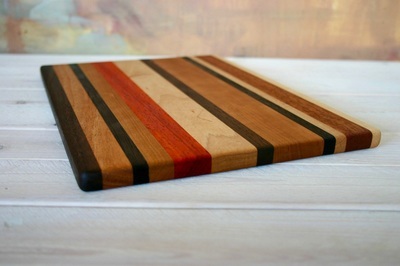 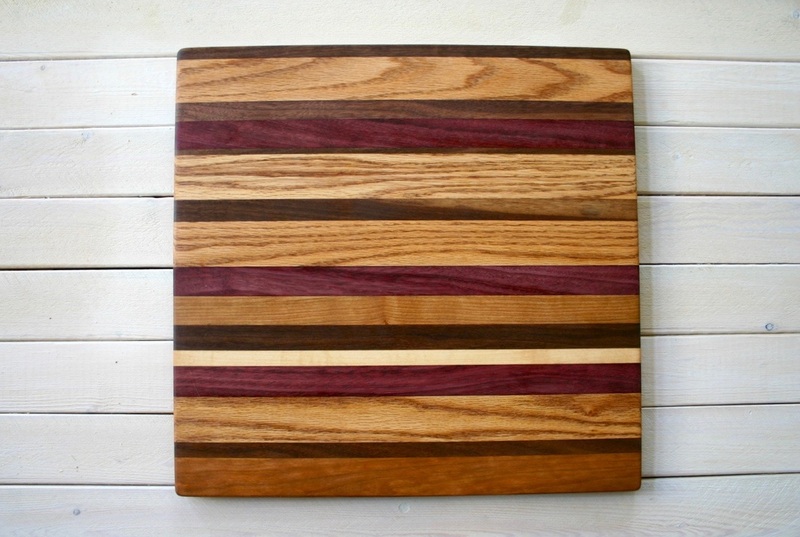 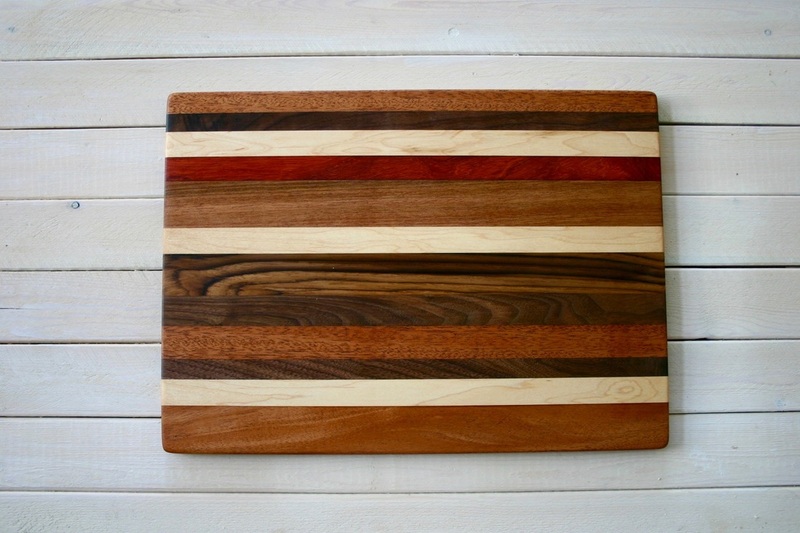 Featherboard Studios exclusively creates sustainable, eco-friendly, wood products from 100% recycled, local material. 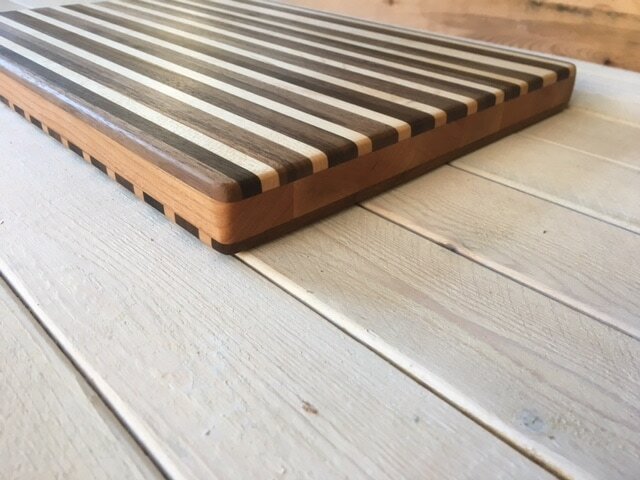 As a woodworker, I recognize the importance of choosing to use reclaimed wood instead of supporting harmful logging industries. 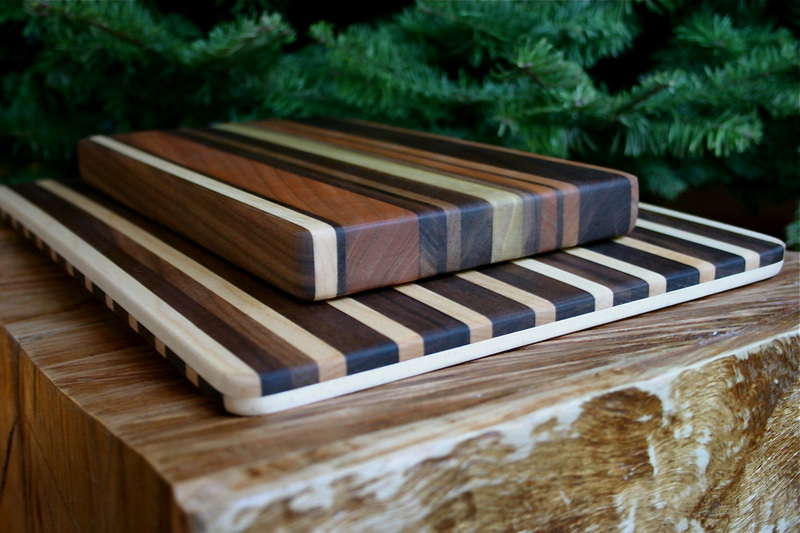 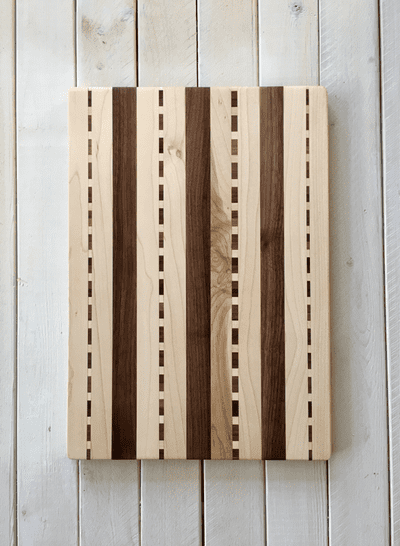 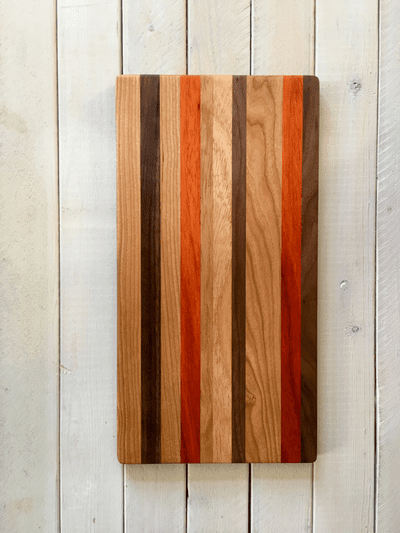 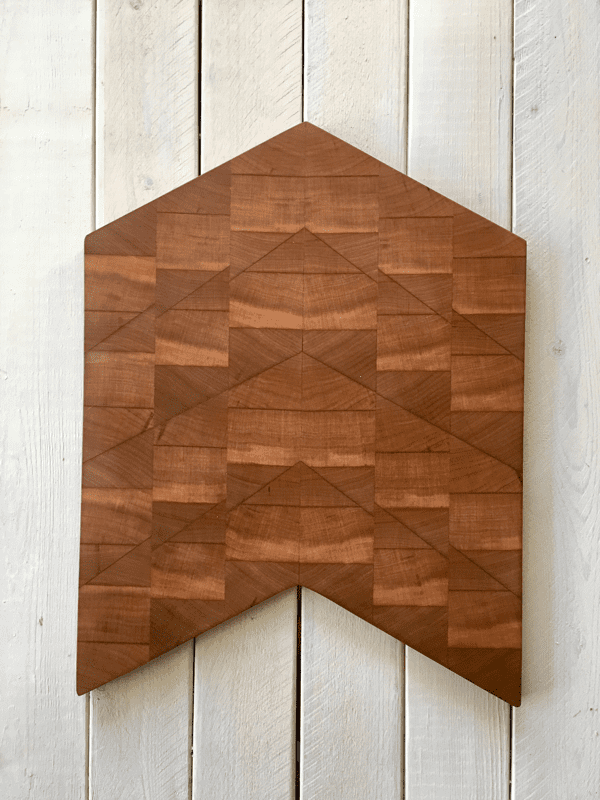 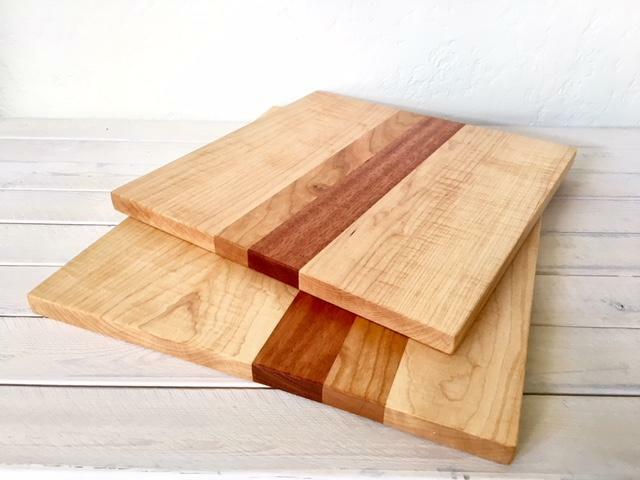 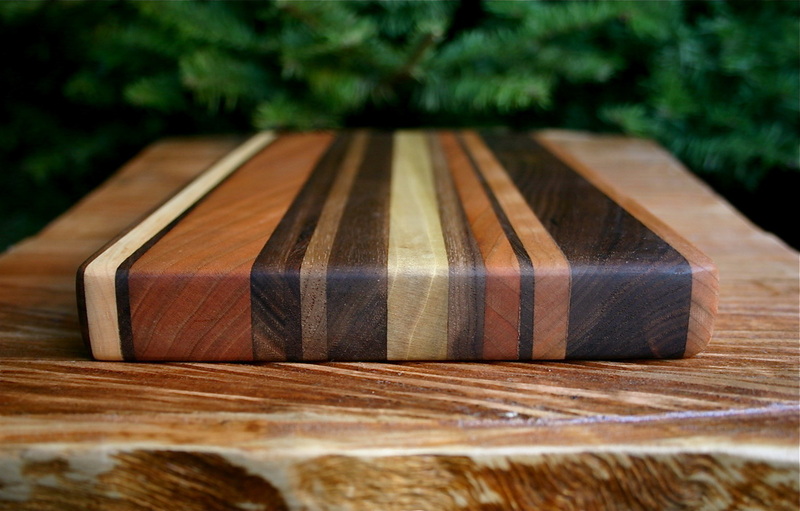 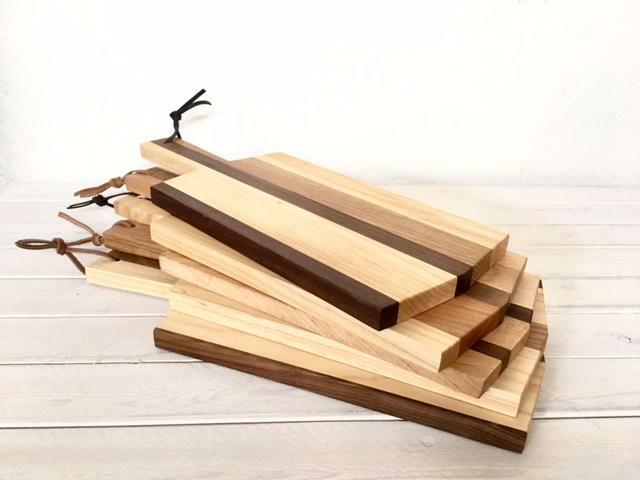 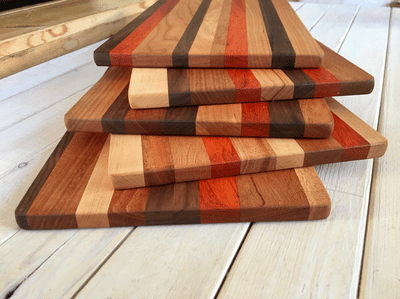 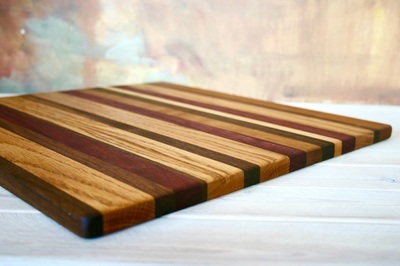 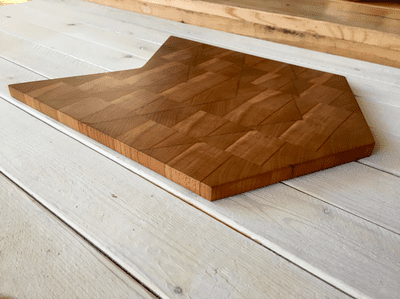 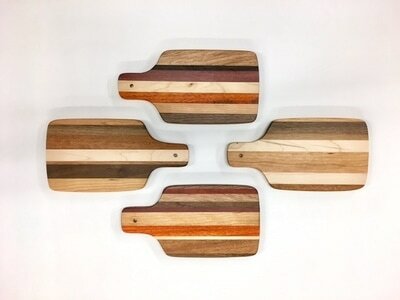 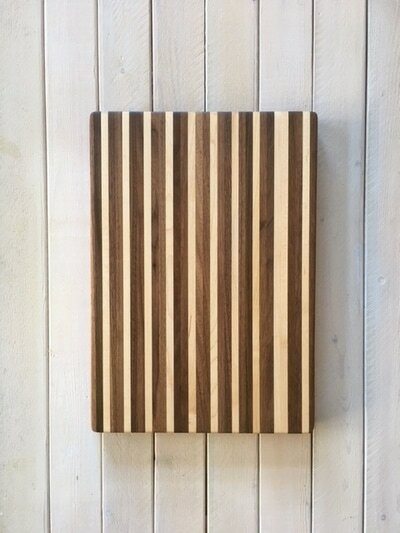 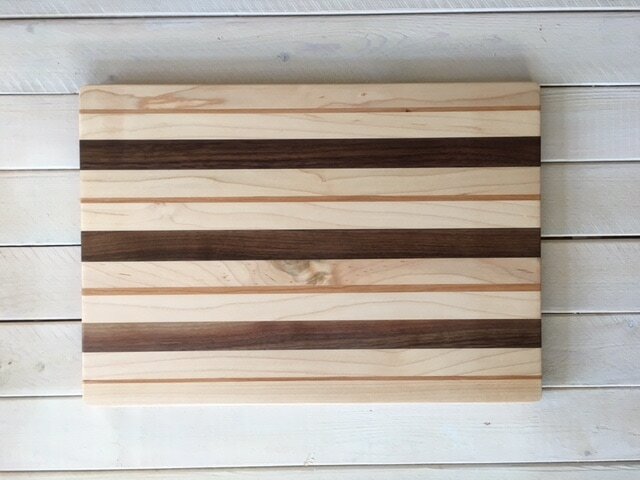 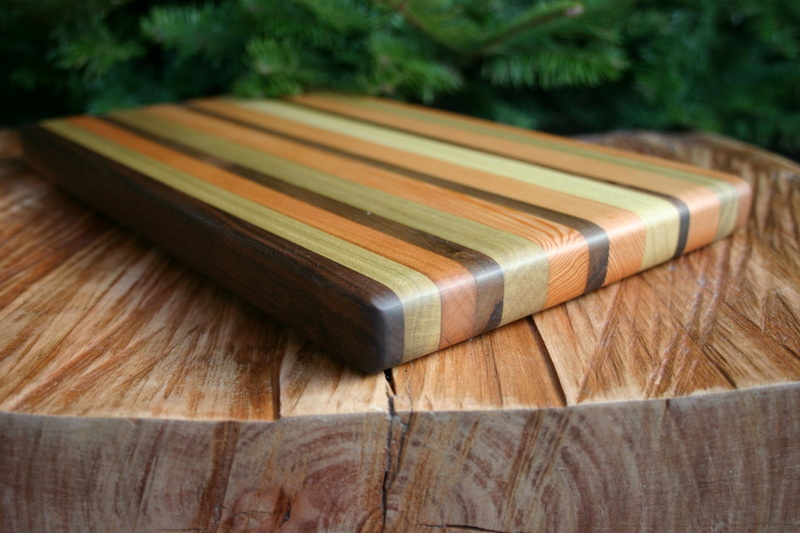 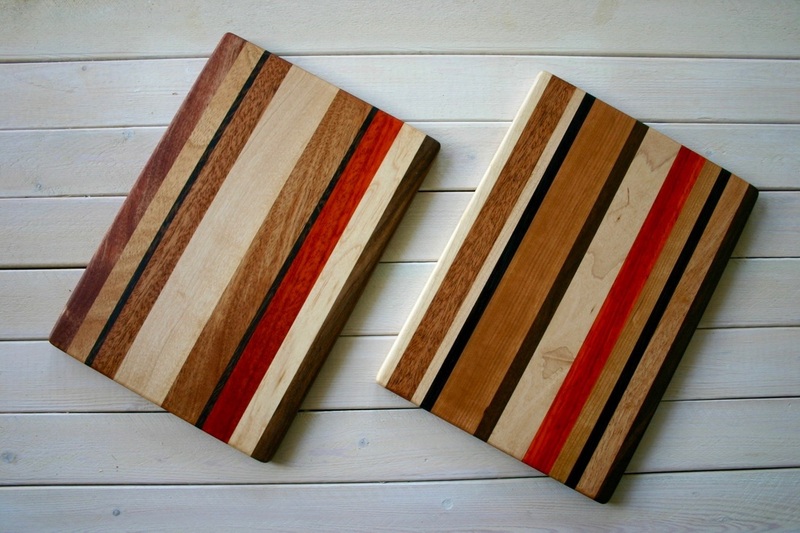 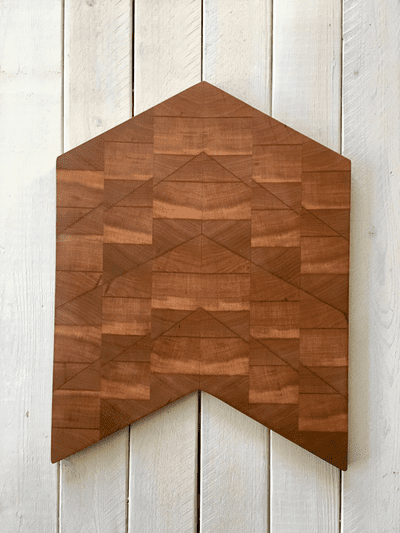 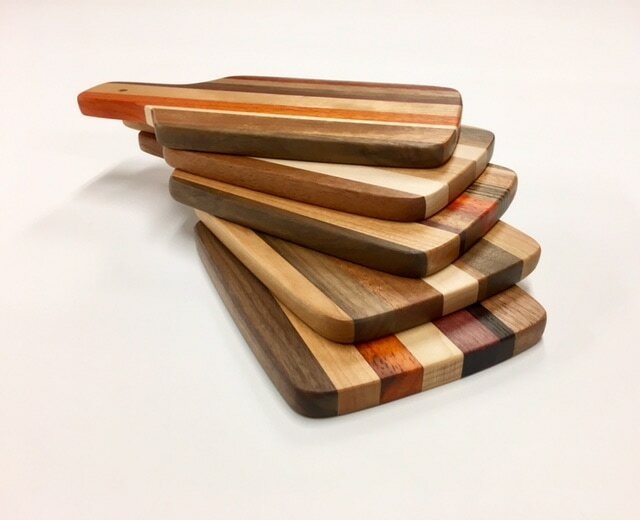 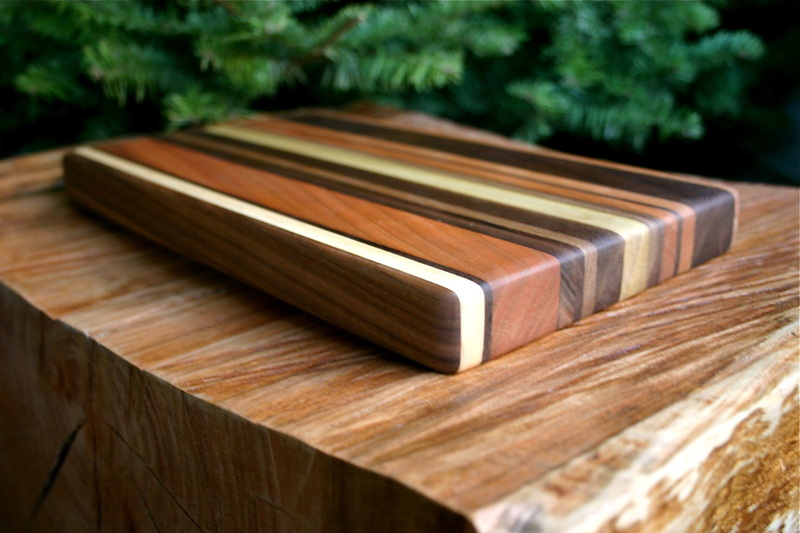 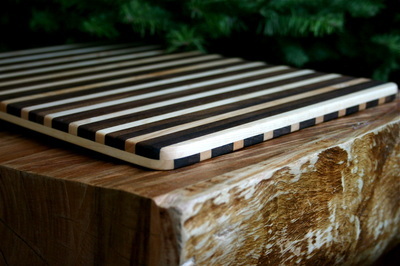 Through Featherboard Studios, I’m trying to create awareness around the types of products we purchase, and offer another alternative to commonly purchased kitchenware, like cutting boards, charcuterie servers, and wooden utensils. 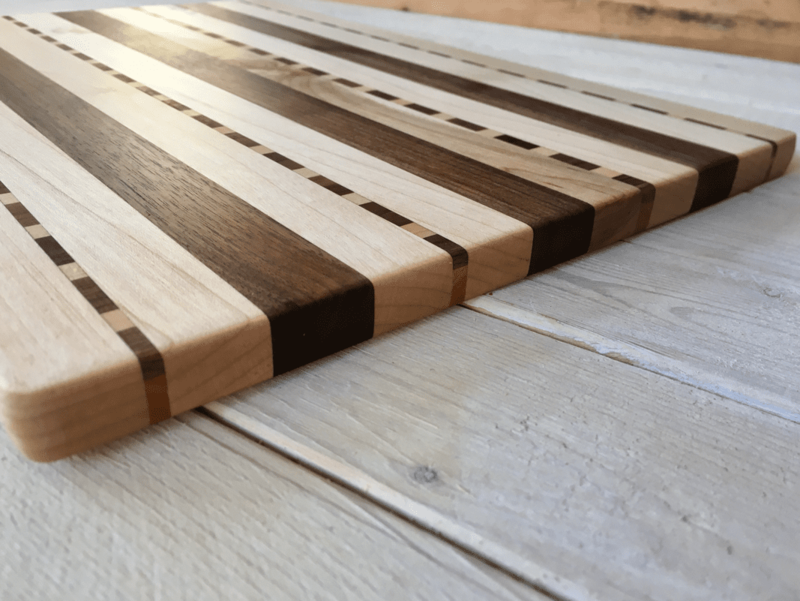 After completing my Masters in Fine Arts, I decided to commit my art practice to using recycled and reclaimed materials so that I would limit my impact on the environment. This led me down the path of sustainable woodworking, specifically utilizing materials that would otherwise go to waste. 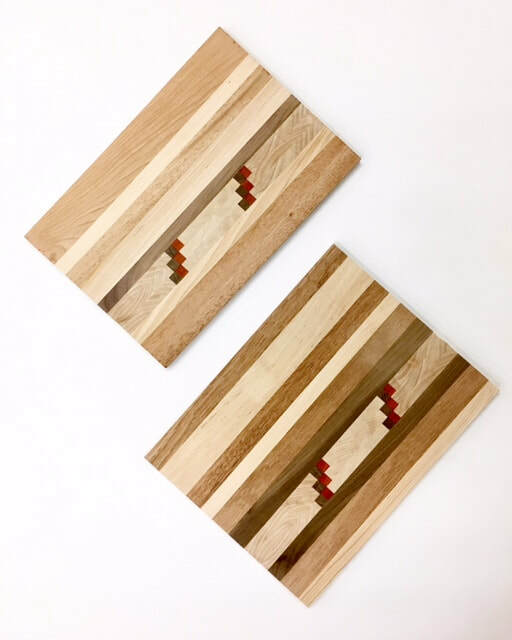 My boards are unique and one-of-a-kind, in that they’re comprised of recycled fine art frames and exhibition furniture, weaving the fine art world into craft and design. 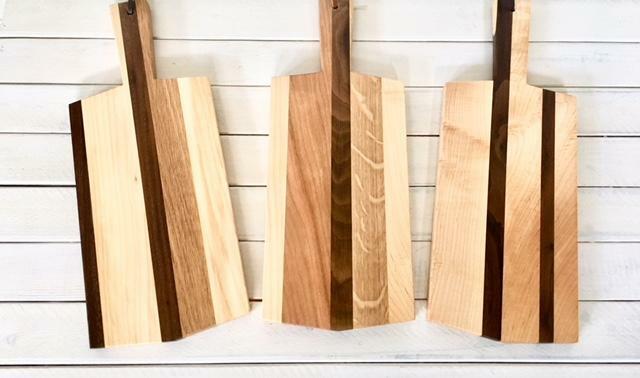 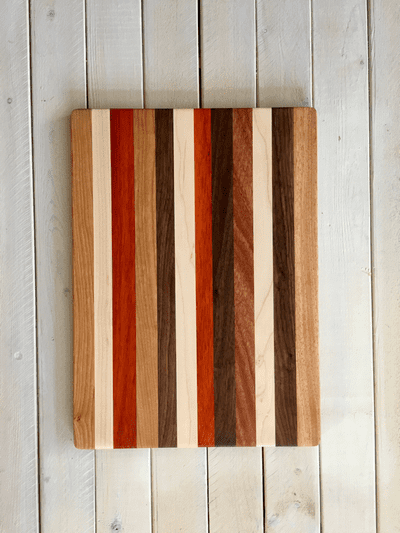 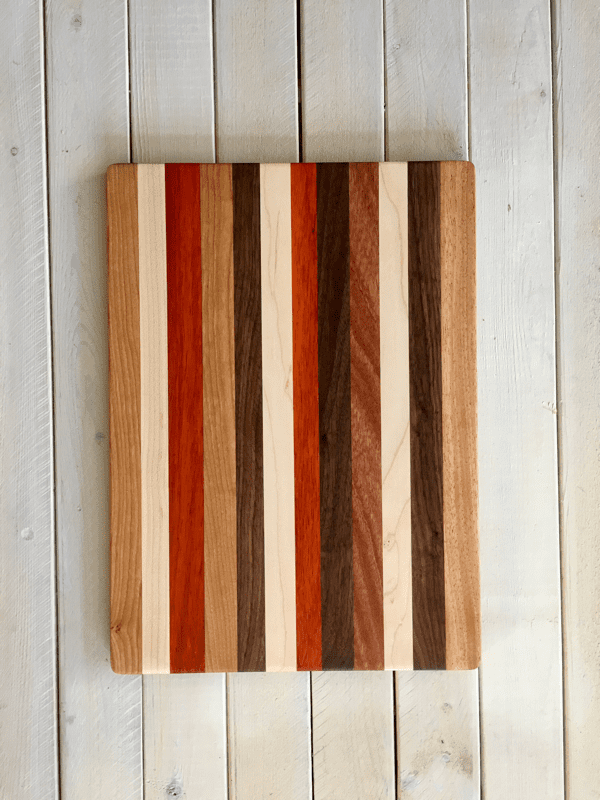 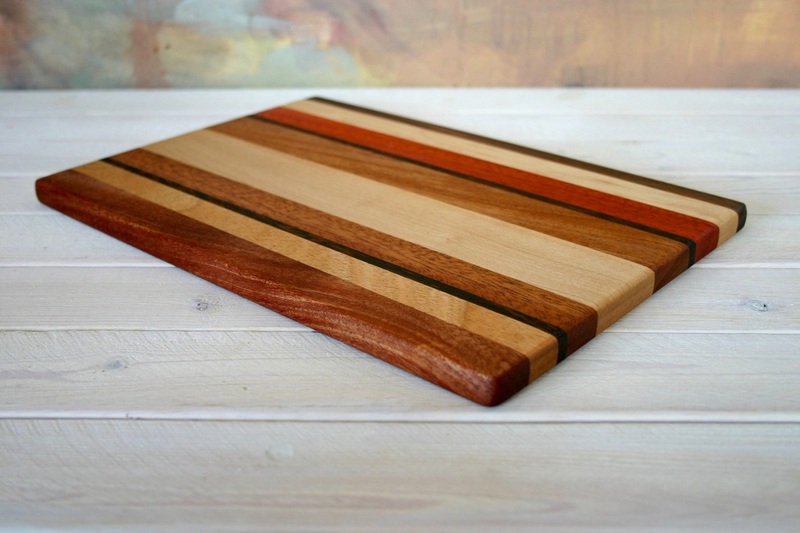 Each cutting board carries a history with it, and the wood frames that once showcased masterful paintings are now being re-purposed into beautiful kitchenware. 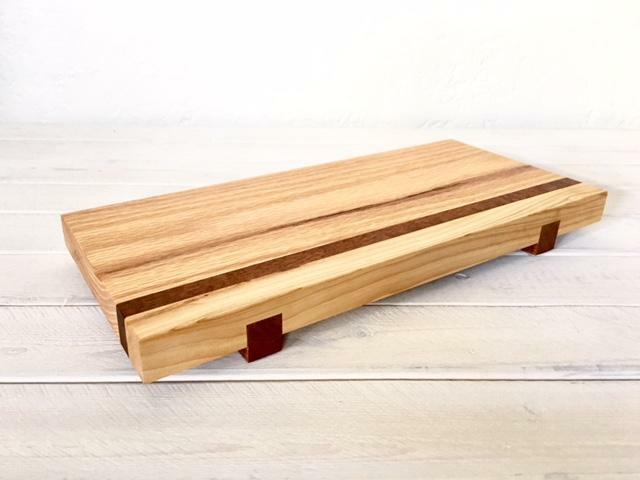 Solid Cherry Serving Block- small - 14"x 6"x 1.5"
Solid Cherry Serving Block- Large- 14"x 9"x 1.5"